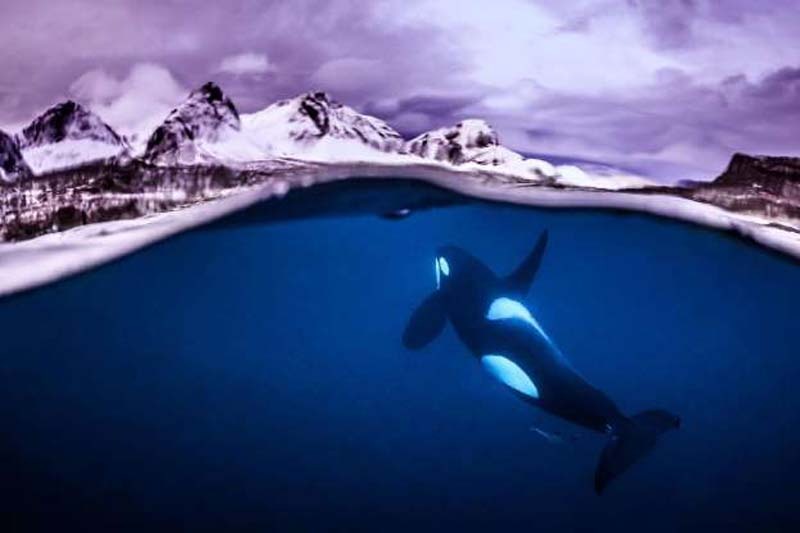 The Underwater Photographer of the Year contest in London received entries from 67 countries rivaling for the top spot. These are some of the most mesmerizing selections. 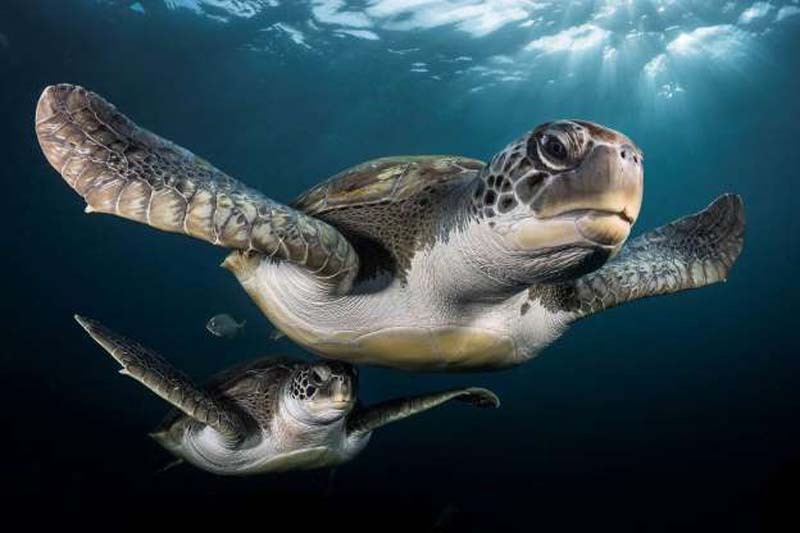 As green turtles started circling Lecoeur in Tenerife, the largest of the Canary Islands in Spain, the photographer captured this gorgeous underwater action shot with sunlight peeking through the surface. 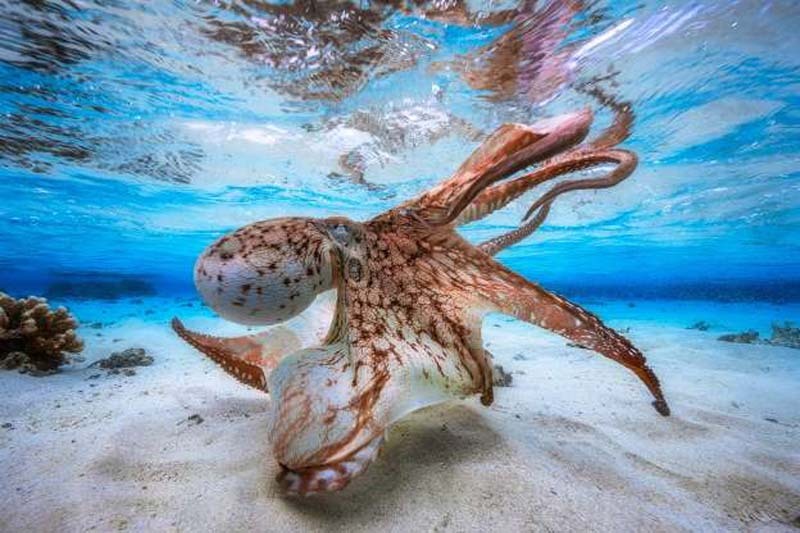 This shot of the alien-looking octopus swimming through a shallow lagoon in Mayotte, an island off Mozambique, earned Barathieu the top title of Underwater Photographer of the Year. 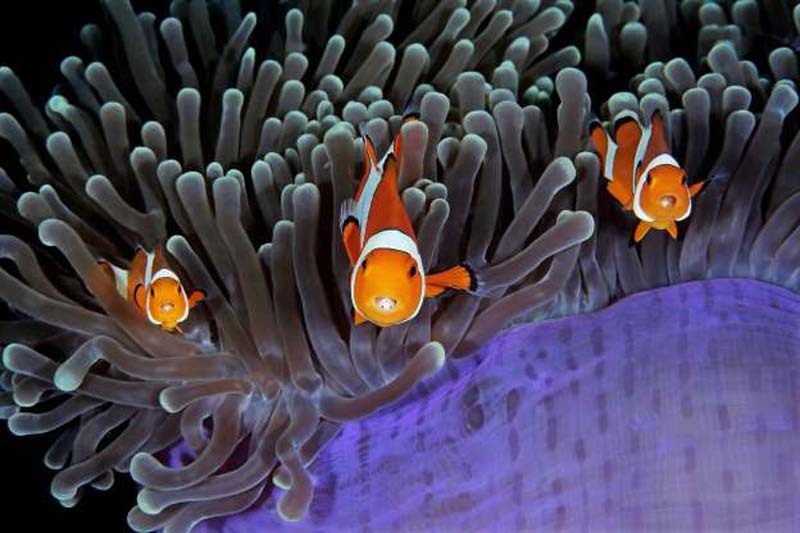 Lin had to take six dives before capturing this photo of the clownfish all opening their mouths at once. Look closely, and you'll see beady eyes inside. That's right, those aren't their tongues—they're parasites. 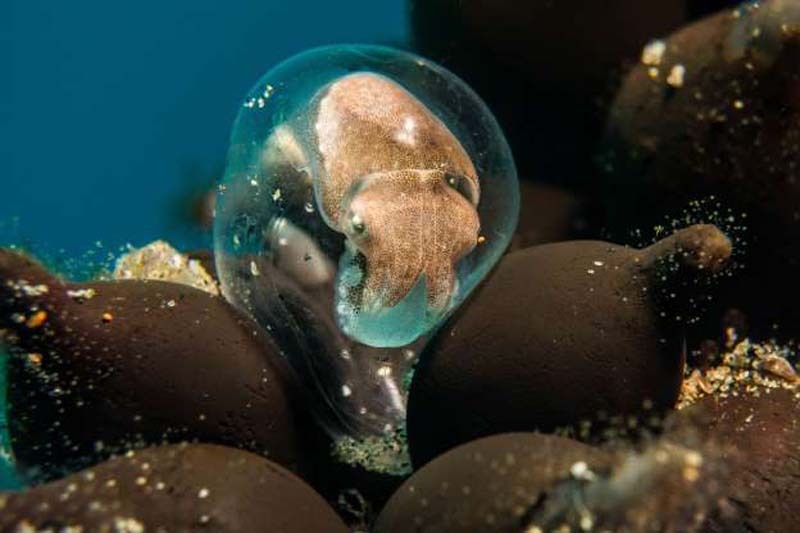 Diving in Ponta du Ouro in Mozambique, Stromvall noticed a cuttlefish egg that was even darker than the others—it was about to hatch. The photographer snapped her shot just as the newborn was entering the world. Undersea explorer Jacques Cousteau once described oceanic whitetips as the 'most dangerous of all sharks,' but Martinez ventured out to capture one in the Red Sea. 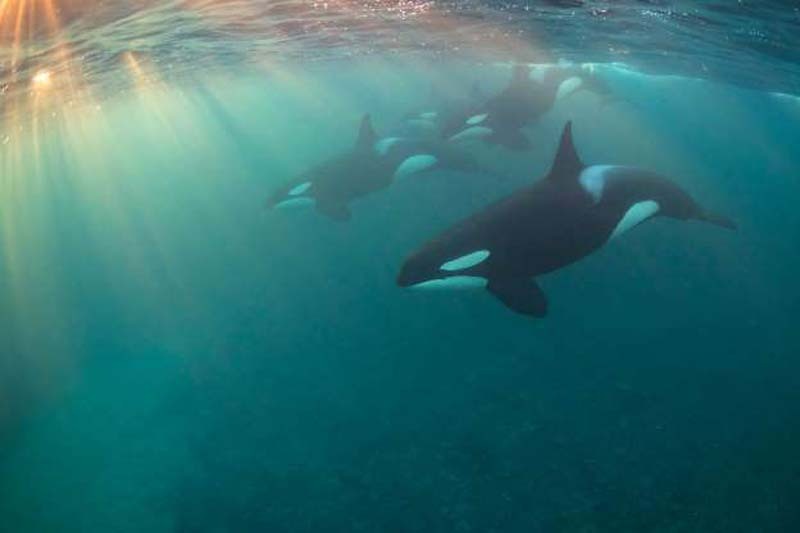 As if one killer whale weren't enough, Georgiou managed to capture an entire pod as they swam by. Blennies are bottom-dwelling fish. Some are brightly colored and wide-eyed, while others seem like they're scowling. 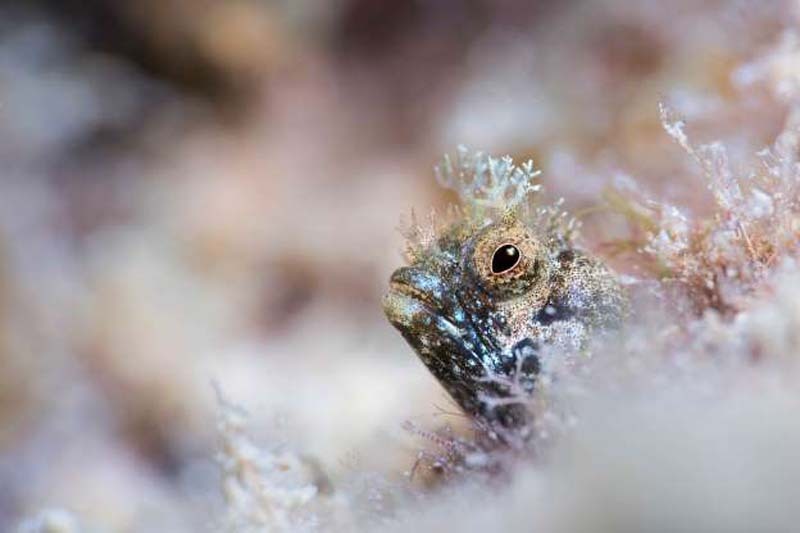 Hoksbergen's underwater portrait of this particular curmudgeon-looking blenny highlights how the fish blends into its environment. Exploring the USS Liberty shipwreck near Tulamben, a small fishing village off the coast of Bali, Remy spotted this curious fish darting around. She framed her shot with flower coral, contrasted with the bright blue of the sea. 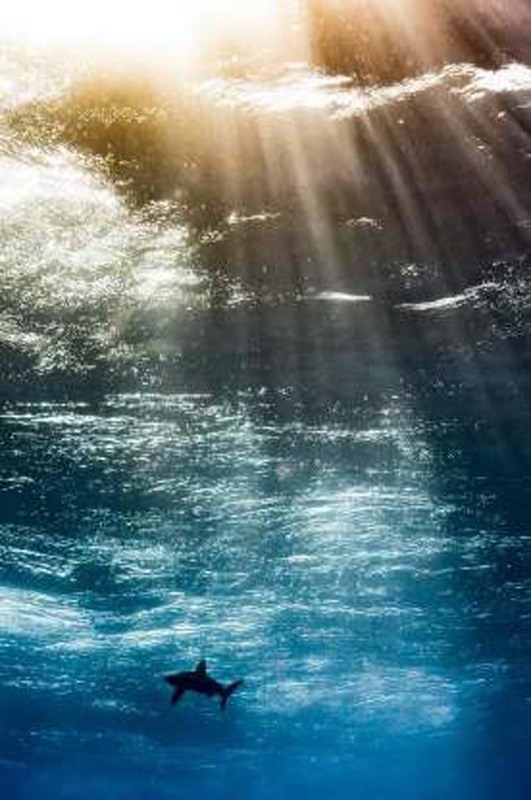 Swimming in a cave's natural water pit, Blake captured this stunning shot of a lone diver swimming through beams of sunlight. The top half of this photo is what we see day-to-day when we find a swan swimming around a lake. 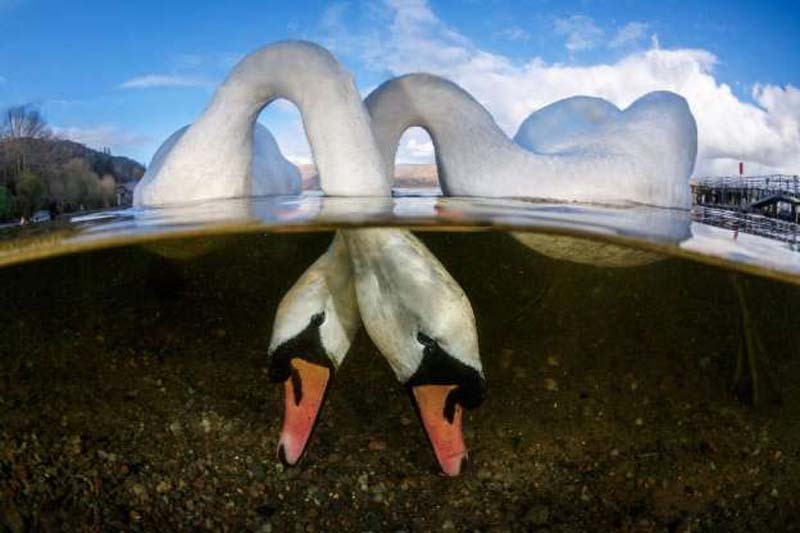 But Thomas waited until mid-day to capture this never-before-seen symmetrical masterpiece of two swans in Loch Lomond taking a dive to feed below the surface of the water. Though you might not want to be surrounded by Caribbean Reef Sharks on your next beach vacation to the Bahamas (where this photo was taken) you can’t deny how amazing it looks. 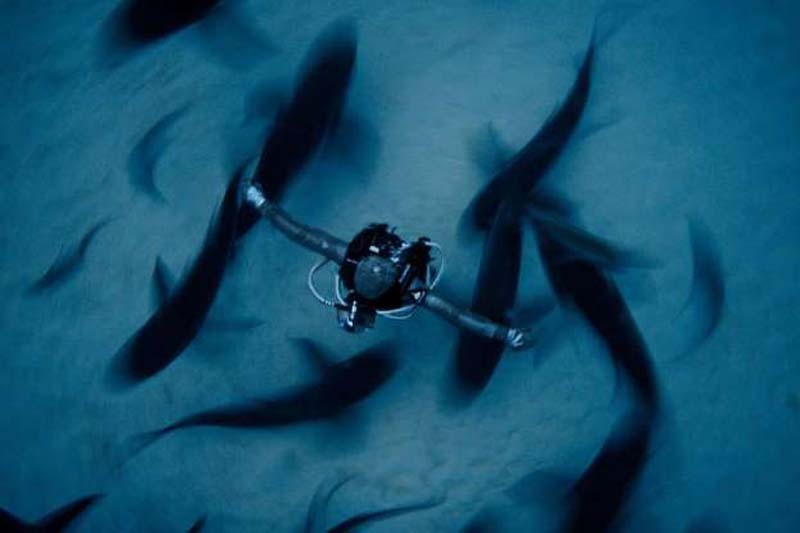 The blur of the swimming sharks juxtaposes the sharp image of a diver remaining as still as possible making Ping the second runner-up in the wide-angle photo category. No, those aren’t actually fried eggs under water. 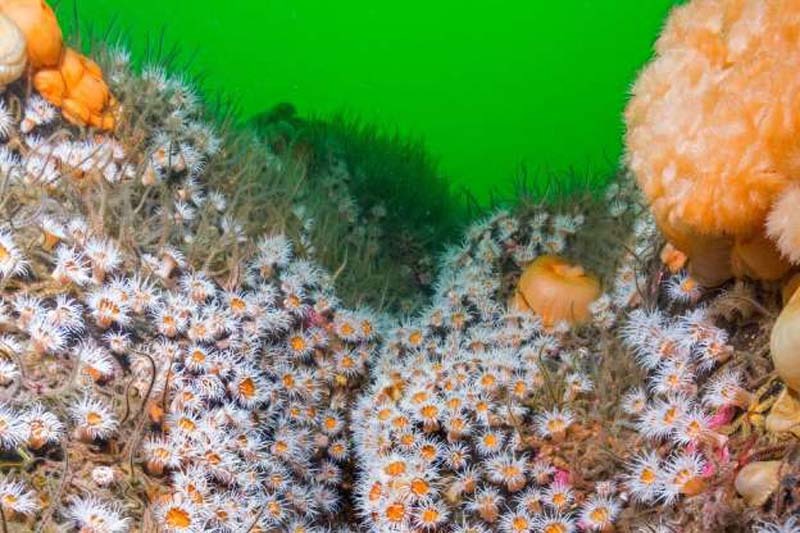 These are spotted brittles tars and plumose anemones that Kay found just off the west coast of Scotland. 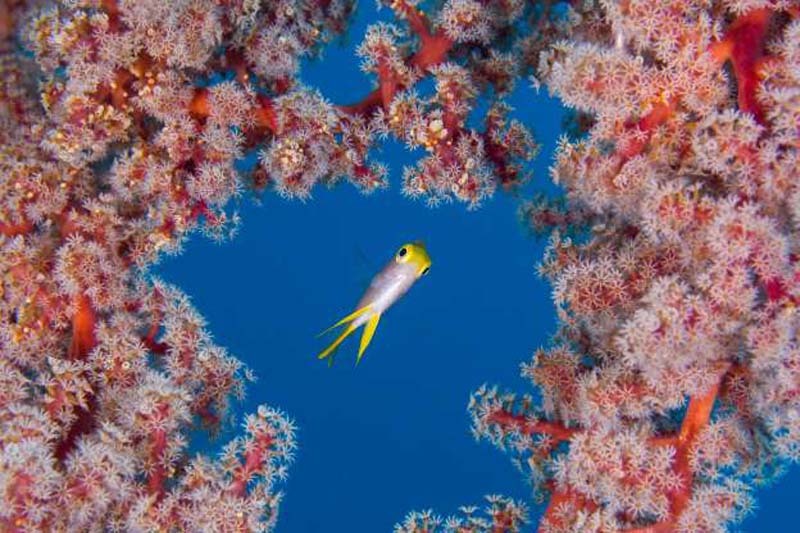 This shows just how colorful life under the sea can be. You know the saying 'just the tip of the iceberg'? Well if you had to put a real-life image to that phrase, you’d get this breathtaking photo. From the top, all you see is the snowy glacier, but below is a whole other world. Two is company, but three is definitely a crowd. 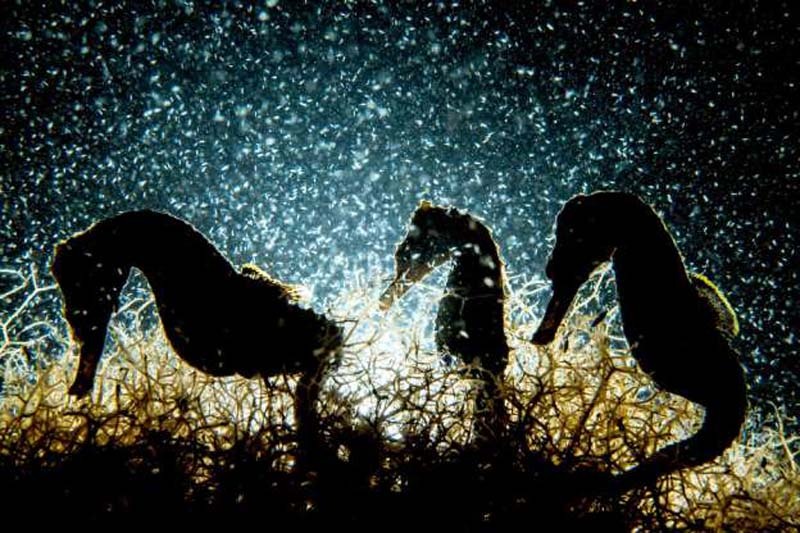 This photo was taken in the Bahamas, home to the highest density of seahorses on Earth. The exact location is a secret because some are working on getting special protection for the seahorses for conservation efforts. This wheel belonged the German ship, Klaus Oldendorf. 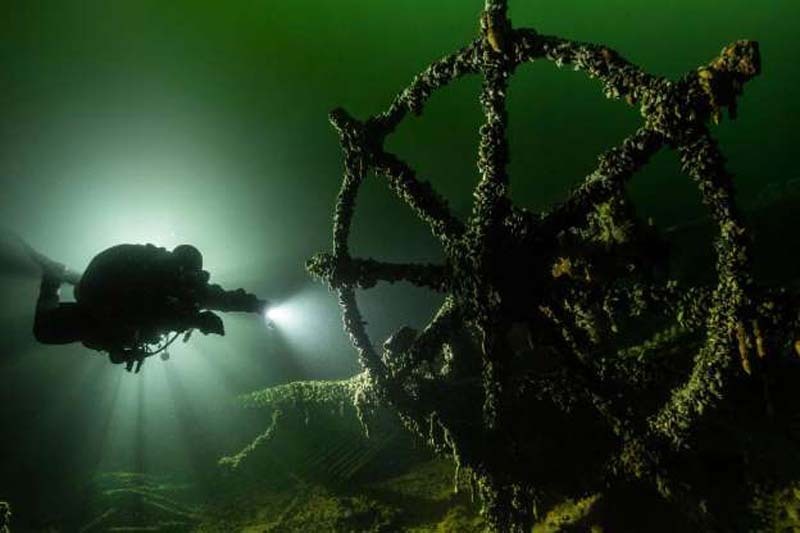 She sunk in 1942 (just 30 years after the Titanic went down) in the Baltic Sea. 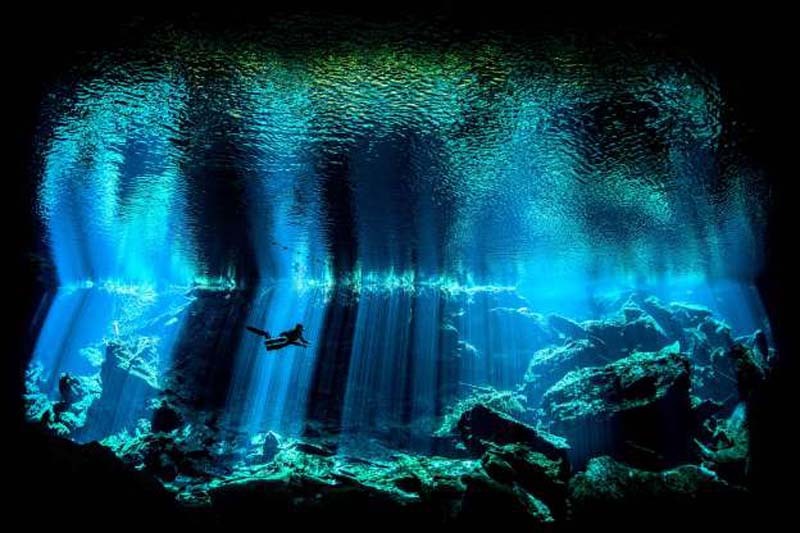 Tuuri took this photo without flash and was able to get the 'natural faint green glow' that he witnessed with his own eyes.